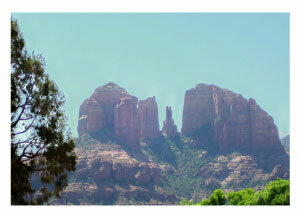 The Phoenix and Sedona Photo gallery has Arizona vacation photos from 2007. These include the Sonoran Desert in Phoenix, and views from a mountaintop with an abandoned gold mine, along with the gorgeous red rocks of Sedona, and the nearby Verde Canyon Railway. 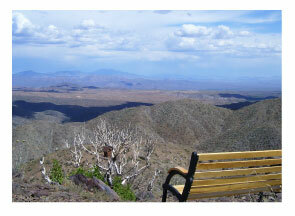 This is just a nice, peaceful spot on the mountaintop. This is the mountain that housed the abandoned gold mine. 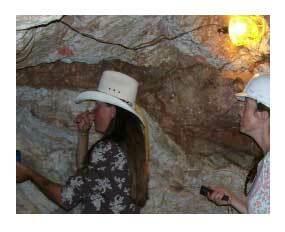 Inside the mine - that's our tour guide, from Carefree Adventures, showing the veins of gold in the rock walls. 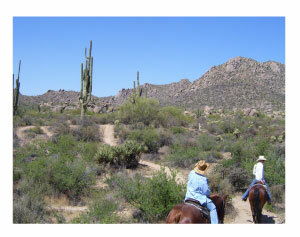 We went horseback riding in the Tonto National Forest, in the Sonoran Desert in Phoenix. Cave Creek Outfitters provided the guide, and were great to work with. This type of cactus, the Saguaro, is commonly used in depictions of the southwest - but it actually exists only in the Sonoran Desert of Arizona. 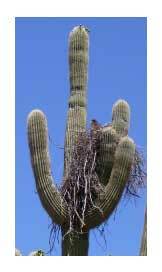 There is a bird nesting in the cactus. We also ran into a rattlesnake on the trail, and had to go around it! 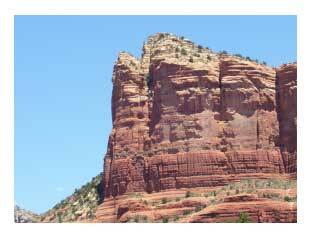 The red rocks are filled with iron, and the scenery is spectacular. Every turn in the road brought another great view - I have dozens of photos, and none really show the beauty of these rock formations. 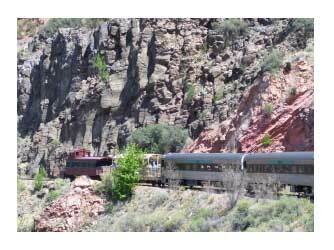 The Verde Canyon Railway does a scenic ride through the canyon (about an hour from Sedona); you cannot travel from one place to another on the train. But the scenery is great. 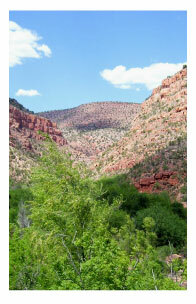 At some points, you are on a trestle bridge high above the canyon; at others, you travel along the canyon floor.